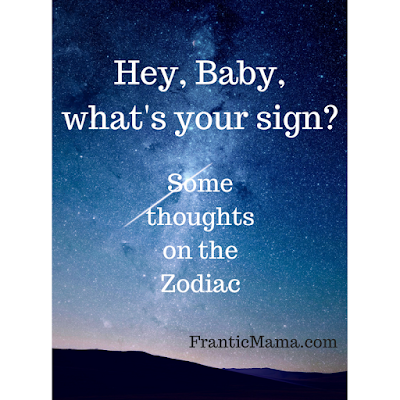 Frantic Mama: What's Your Sign? When I was growing up, I always skipped ahead to read my horoscope in the back of my glossy magazines. I don't do that anymore (mainly because I don't have the time), but I can't help but think there might be something to astrology, and more specifically, the zodiac signs. Now, skeptics (even me) could easily argue that zodiac descriptions are so general that they can apply to anyone. (But come on, who else but Geminis let their freak flags hang at full mast?). Think I'm crazy or want to learn more? Here's a little history on the subject. According to the American Federation of Astrology (it's a thing), the Babylonians are credited with the birth of astrology. Their astrological charts enabled them to predict the recurrence of seasons and certain celestial events. Through the studies of famous wiseman like Plato and Aristotle, astrology came to be regarded as a science and was embraced by the Romans (the Roman names for the zodiacal signs are still used today). While earliest astrology was used to bring a sense of order out of apparent chaos, it was soon utilized to predict weather patterns. The Zodiac is believed to have developed in ancient Egypt and later adopted by the Babylonians. Early astrologers knew it took 12 lunar cycles (months) for the sun to return to its original position. They identified 12 constellations they observed were linked to the progression of the seasons and assigned them names. The division of the 12 signs of the zodiac is based on the earth's year-long rotation around the sun and relates to character traits and areas of life. It's tempting to focus on solely the positive aspects of my sign-- Geminis are open-minded, can talk to anyone and love to create and experience everything-- I have to admit it, the negatives that go with mine ring true too-- the emotional highs and lows, the restlessness and nervous energy, and the tendency to take on too much and become overwhelmed and distracted. My son is a Gemini too-- it'll be fun to see if it fits him as he grows. Check out AstroStyle to read their in-depth descriptions. I want to know what you think! 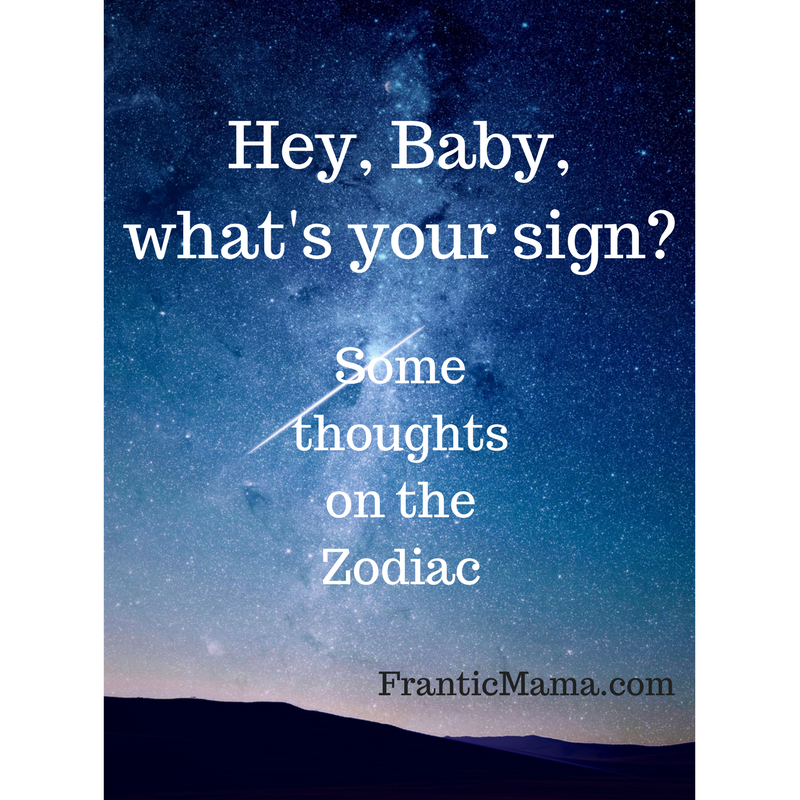 Does your sign fit you or is it all just a bunch of hogwash?